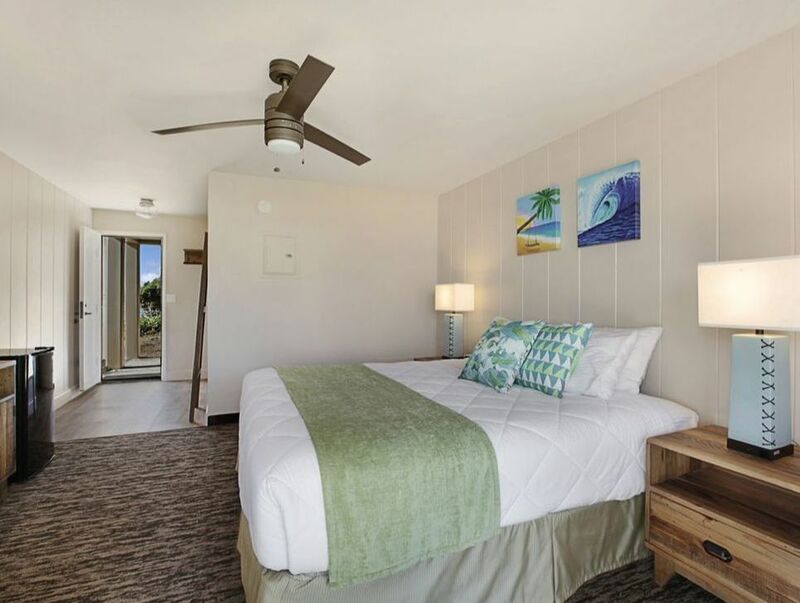 Immerse yourself in stylish comfort with gorgeous views of Kauai’s eastern shore. These refreshed 290-square-foot rooms feature modern island décor, one King or two double beds, free Wi-Fi, a ceiling fan, a private lanai, a refrigerator, a coffeemaker and a flat-screen TV with cable channels. This room offers ocean and pool views.